Life goes along routinely for weeks, then one day , you change one thing and from then on, you lose the routine. Same way with training for races. 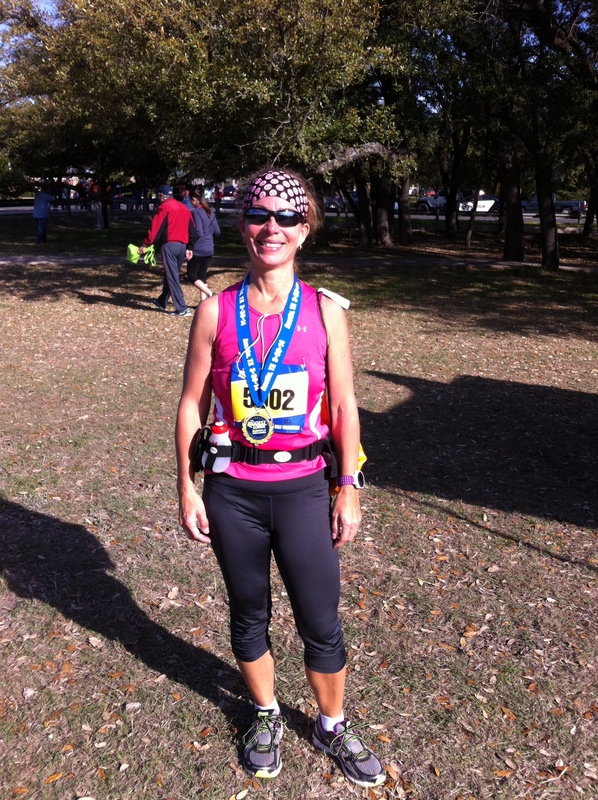 While training for the Houston Chevron Marathon, I had a plan, I followed it with some changes to accommodate other people’s needs and my own body’s aches and pains. But I felt good that I was moving forward with the plan. Since then I have felt a little lost about my goals. I want to reach a certain goal in a 5K, sub 27:00, but I also want to keep my long runs comfortable at a distance of 10 miles so I can run a half anytime I feel like it. So I have to achieve a delicate balance of speed work, long runs, easy runs, strength training, cross training and rest! I know you other runners understand. And then I have three friends I run with that are trying to deal with their lives and keep up their training and I want to run with all of them. Running with my friends makes it so much better! But sometimes I sacrifice a speed or distance goal just to run with someone. Or I might do a trail run which is a great workout and fun, but not fast. So , all this to say, I was not really sure how my last race would turn out. 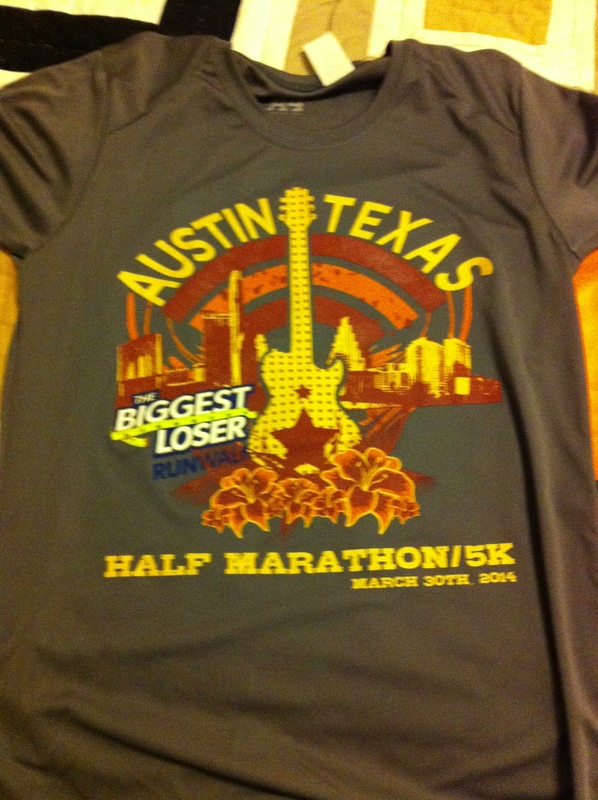 Plans had been made for this race, The Biggest Loser Half Austin, but life had other ideas. So what I thought was going to be me and my fast and wonderful friend rocking this race together became me running it alone. I had big doubts! Could I do it without her speed pulling me along? Was I out of shape from so many easy runs? Was the lack of cross training in the last few weeks going to hurt my time? Had my cheats on my Paleo diet ruined me ? Darn corn tortillas! So, I went to the race with a big question mark, but also determined to do my best. I read in a book called Second Wind, that the Japanese runners encourage each other with the phrase, “Do your best!”. I keep thinking of that during my race, haha! How did it go? I know you’re dying to found out, so here is my report. PR city!! 1:55:56, 5th place in 45-49 age group, unbelievable! God was with me. The weather was perfect. Some other friends showed up. My sister dropped me off at the race so I didn’t have to walk from the parking lot. I had good luck in the portapotty before the race, if you know what I mean. This was a Biggest Loser event. That means it was not very big and there were lots of beginners. That made me feel like an elite. Hehe! I was able to line up in the first corral! So awesome! The first corral was for 10:00 pace, lol. We took off. I was concentrating on not going out too fast so I looked for a person to follow. I found a lady doing a perfect 8:50 pace. I stayed with her for a long time, it really helped. Once she slowed to get water and I waited for her and told her that I wanted her to lead because she was my pacer. She laughed! She did end up finishing a little ahead of me in the end, but her help was greatly appreciated. I lost her when I slowed to eat my gel and take water. So then I found another runner to pace with. I also just kept the main group of about 8:45 pace runners in sight. There was also a race official in a bright pink shirt on a bicycle that was encouraging me at each mile. After I would catch up to her, she would move on up the road another mile. I started thinking of her as my ‘pink angel’. Thanks , whoever you are! I had told myself that even though it wasn’t hot outside, I had to make myself drink water and take a gel at approximately one hour in . I did that . At the half way mark I was feeling good and felt like I could keep up that pace til the end. I did walk briefly for water breaks but otherwise, I ran the whole thing! My avg pace was 8:51. I had two slower miles while drinking and eating gels. I could go on and on, but I will just say I felt pretty happy at mile 10 when I saw that even if I dropped down to 10:00 pace I would still get a PR and sub 2:00! I was getting tired and I told myself, these last miles are the ones that really count. They show how badly you want that goal time. Don’t poop out now! Push, you’re almost there. Stay focused on form and not tensing up. It’s a huge mental game. If you’re reading this and you’re not a runner, just think of anything hard you’ve had to do that require much determination and perseverance. So lessons learned . You may be better trained than you think, but be sure to get your speed work days in so you feel confident. Pacers are very helpful! Fueling properly works. I used Salted Caramel Gu and Chocolate Outrage Gu, as well as Endurolytes pre-race, and plain water. I ate Peanut Butter Chocolate Chip Larabar and half a banana pre-race and water. The day before I ate rice and grilled fish twice. Also chocolate turtle candy, turkey lunch meat, banana, pork jerky, Cherry Larabar, Coconut water, pineapple juice and maybe a few other things. I don’t eat gluten, so no bread. Another lesson, I need to believe in myself more! I discovered I could run fast even without my fast friend beside me. The race itself helped me along. 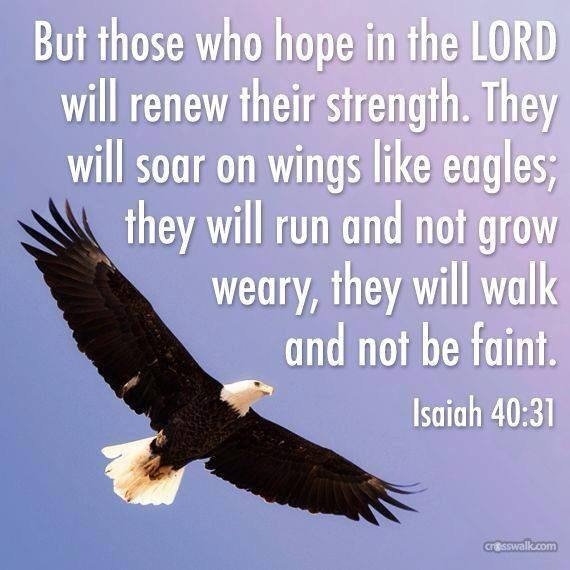 I also made sure to remember my friends and family in prayer along the way and devote my run to those who can’t run. I ran with a thankful heart that my husband and children allow me to enjoy my sport without guilt. I thanked God for the stream of blessings he pours out on me daily. I look forward to the next adventure, this weekend! My first 25K Trail race. Very few expectations, other than to have a blast. Will let you know how it goes! U know I love ya!! Great blog!